Big fanfare at Whitehall today about the launch of new Government business plans. Now I am all for business plans, the key to a successful business and this is perhaps what the Coalition are getting at - set some goals and sending out the Departments to achieve them. However, as with a Company, business plans are best judged annually or over 3 or 5 years rather than posted up live. To turn the Government into the equivalent of a quarterly driven US conglomerate may not be the success that the ministers think it will. On the plus side the BBC seem dead against it so it is doing some good already. Also the spurious point about people being able to see what Government is doing and how it is achieving things is a complete red herring. No one is interested in looking up to see how our diversity programmes are progressing - this aspect is a waste of money on the website. The time devoted to filling it out will become gargantuan as Whitehall has a bureaucracy designed to make form filling into an artform capable of absorbing millions of hours of Labour. The Sir Humphrey's have worked their magic here, taking a very good initial idea and wending it into something that will keep their minions occupied doing something nicely bureaucratic and pointless instead of productive and useful. You make a good point, the Government appears to be confusing a business plan, a medium term goal with an Annual Operating Plan, a tactic to meet the short term elements of the business plan. If 1000 form fillers spend their time filling in useless forms, rather than sending out useless forms into the real world and making otherwise productive people fill in those forms, that actually increases the value of government to the country as a whole! 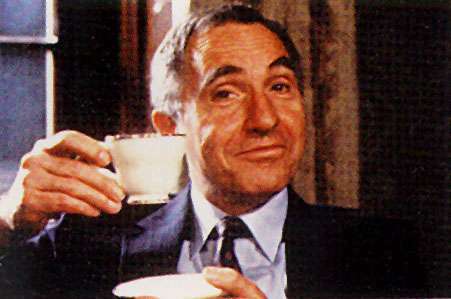 Sir Humphrey seems to have them round his little finger. The best one is the '80% cuts, 20% tax rises' yarn he's span them. Everyone seems to have swallowed it bar Redwood (and me of course - but then I'm easily as cynical as Humph himself).